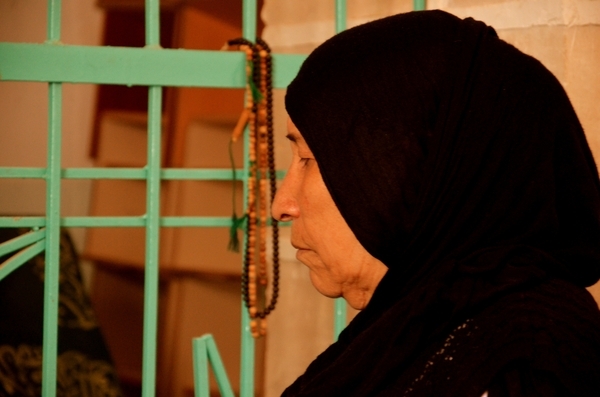 A grandmother threatened with prison for speaking for peace. That, in a nutshell, is the case of Sultani Acibuca, member of a group of mothers who have lost or had sons imprisoned as part of the conflict between the Turkish army and the PKK, was convicted of being a member of a terrorist organization for calling for peace and an end to the conflict. Today, I ask you to join in Amnesty’s campaign in support of her. 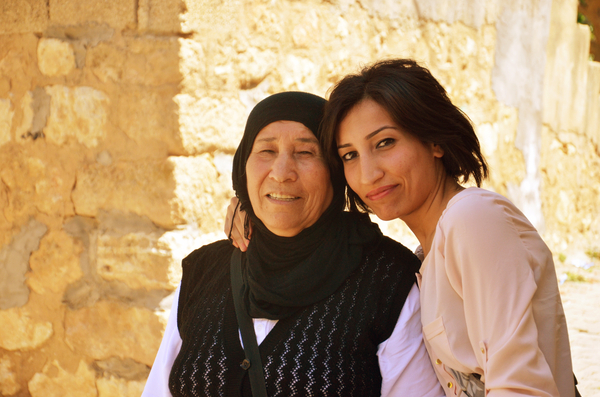 Sultani Acibuca with her daughter. 62-year-old Sultani Acibuca, a member of a group of mothers who have lost their sons or seen them imprisoned as part of the conflict between the Turkish state and the terrorist Kurdistan Workers’ Party (PKK). Sultani was convicted of being a member of a terrorist organization for calling for peace and an end to the conflict. Amnesty International profiled the Acibuca case in its landmark report, released the past March, Decriminalize Dissent. 62 year-old Sultani Acıbuca is a member of the “peace mothers”, a group made up of mothers who have lost sons or had sons imprisoned on both sides of the conflict with the PKK. On 9 June 2010 she was convicted of being a member of a terrorist organization on the basis of her attendance at six peaceful demonstrations in the western city of Izmir between January 2006 and March 2008 and a speech she made at one of these demonstrations. The speech called for peace and an end to the conflict between the PKK and the Turkish armed forces. The allegations set out in the indictment were based on police records of demonstrations, photographs of the demonstrations, and audio recordings… [The] conduct which has been used as evidence to secure the conviction of Sultani Acıbuca is protected under the rights to freedom of expression, association and peaceful assembly. I welcome you all here today with a wounded, ailing, troubled heart. On behalf of the mothers of martyred [soldiers] and guerrillas, I kneel down in front of them. The pain of the Turkish and Kurdish mothers is the same. The pain of those who struggle is the same. We do not want these mothers to cry anymore, and say ‘enough’ to their suffering. Enough already! Leave Kurdistan alone. This war is a heavy load for the Turks and Kurds to bear. We want peace. We want Turkish and Kurdish mothers to reach out their hands to one another for peace. They [those in power, the government] have removed our country from us. We, the 70 year-old mothers want peace now. Let there be freedom, and let there be freedom also for those imprisoned. Erdoğan should send his son to the army. Poor Kurdish and Turkish families are sending their sons to the army; we don’t want to fight with them. They should send their own sons to the army, they sent us out of our villages, out of our homes [referring to forcible displacement by the armed forces], burned our villages, our brides are Turkish and we gave our daughters to Turks. Long live the brotherhood of the people, long live the freedom of women. A message of brotherhood and peace is punished as terrorism. Perhaps not surprising in a country where journalists are punished for reporting the news and medical professionals are pursued for caring for the injured. 1. Take part in Amnesty’s on-going campaigns on the criminalization of dissent. 2. Send a letter to the Turkish government, voicing your concern. Amnesty International’s recommendations for the authorities including amending the definition of ‘terrorism’ and related provisions for membership such as Article 314, the repeal of Article 215 of the Penal Code ‘praising a crime of a criminal’ and further amendment of Article 7/2 of the Anti-Terrorism Law ‘making propaganda for a terrorist organization’ to solely criminalize incitement to violence would go some way in improving the protection of the right to freedom of expression. For those who live outside of the US, please copy the appeals to diplomatic representatives accredited to your country. You can find their mailing address information here. 3. Send a letter to Sutani Acibuca herself, voicing your support. We also encourage you to join solidarity action by writing to Sultani Acıbuca in Kurdish, Turkish or English. Min nameyek şand li meqamén Turkiyayê ji bo nişandana nerazîbûna xwe ya li hemberê cezayê şeş sal û sê mehan dane te. Ez hêvîdarim kû wê dadgeha bilind vê biryara neheq holê rake û ev barê giran li ser milê te rabe. Min her wiha gazî wan kir kû ew wan qanûnan (nasnîşana terorîsmê û qanûnên wekê wê) biguhurînîn ku kesên din yên wekî te jî li van neheqîya xilas bibin. I have written to the authorities in Turkey to protest your conviction and sentence for six years and three months. I hope that the Supreme Court of Appeals overturns this unfair conviction and lifts this burden off of your shoulders. I have also called on them to change the law (definition of terrorism and related articles) to that others do not go through what you have been through. Yaptıgnız konusmalar nedeniyle aldıgınız altı yıl üç aylık cezayı protesto etmek için Türkiye yetkililerine mektup yazdım. Umarım Yargıtay kararı bu haksız cezayı bozar ve üzerinizdeki bu yük kalkar. Onlara, sizin yasadıklarınız baskaları dayasamasın diye, öncelikle ‘terörizm’in tanımı ve iliskili yasalar olmak üzere yasaları degistirmeleri çagrısında bulundum. This entry was posted in Amnesty International, Freedom of Assembly, Freedom of Association, Freedom of Expression, Kurds, Minorities, PKK, Turkey, Uncategorized and tagged Action, Amnesty International, anti-terrorism, Human Rights, Individuals at Risk, Kurdish, Letter writing campaign, peaceful demonstrations, Sultana Acibuca. Bookmark the permalink.